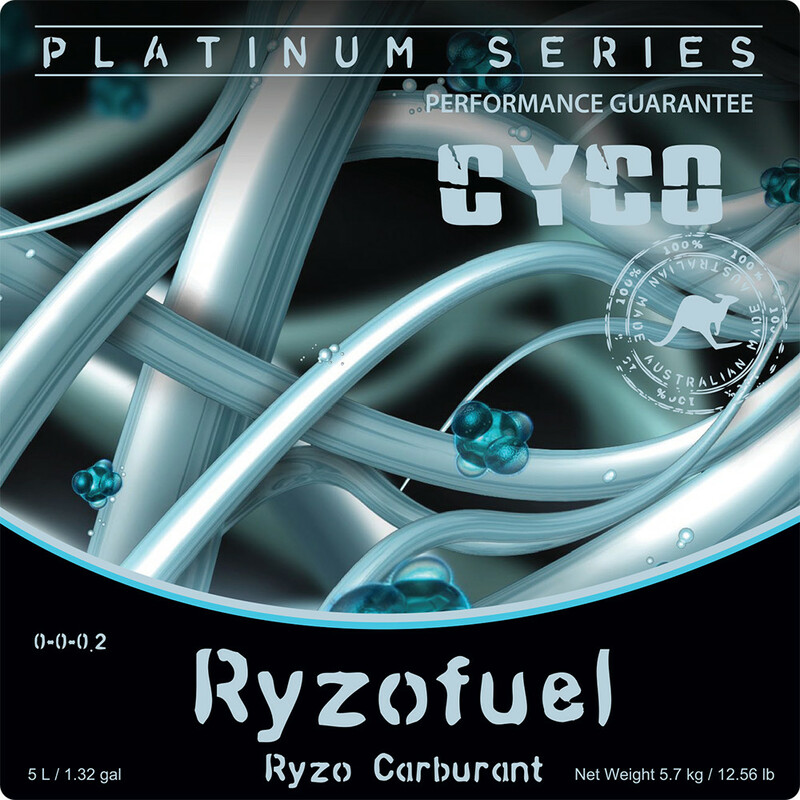 Ryzofuel will rapidly accelerate new root growth. 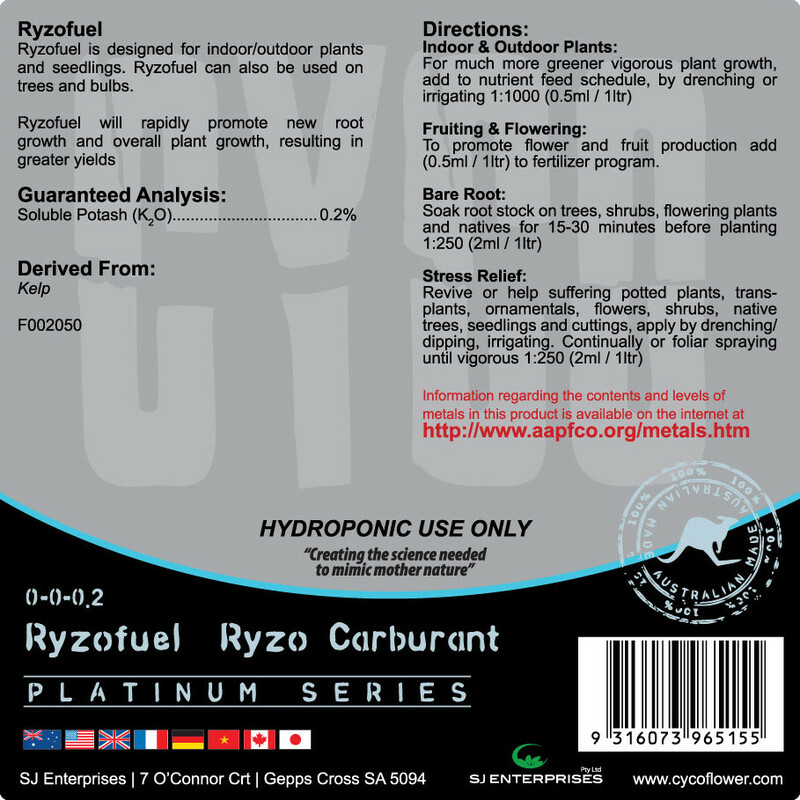 To stimulate advanced flower growth, heavier flowering and fruit, for increased new leaves and achieve a greater biomass, add to fertilizer program (0.5ml / 1ltr). 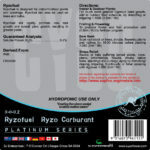 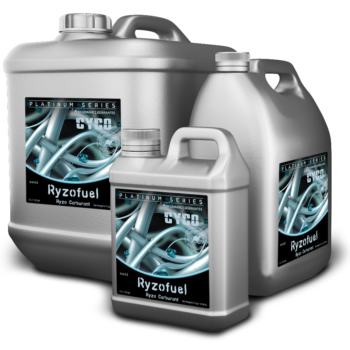 Description: Ryzofuel is Australia’s leading brand of root stimulates, designed for indoor/Outdoor plants and seedlings. Ryzofuel can also be used on trees and bulbs.